If you’re already compulsively humming the World Cup jingle (â€œBrasiiiiil, Brasiiil…â€) , you probably have a serious case of football fever. 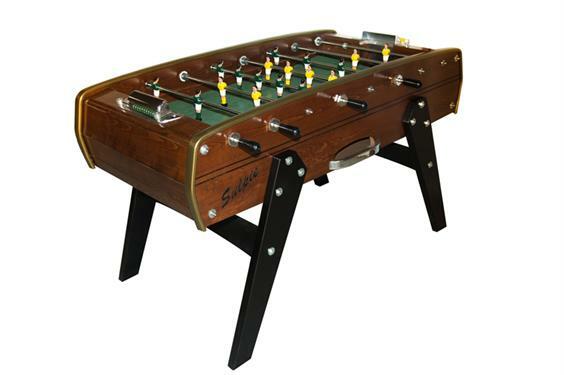 If relaxing in your man cave with a cold one (or two) and your feet up isn’t enough for you, it’s time to get stuck into the beautiful game yourself with that classic man cave staple: the football table. Let’s start at the beginning. 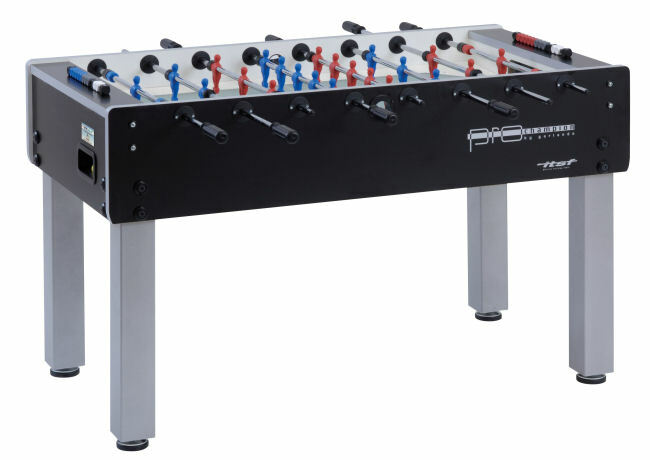 The Garlando F-200 is a very respectable entry level football table which plays well and won’t cost you a year of Gareth Bale’s salary. This is a great starter table for an intermediate player looking to get a good feel for the game. With telescopic rods and an accurate feel, this is a great place to start if you don’t want to spend more than Â£500. If you’re ready to get a little more serious, it’s time to look for an ITSF approved table. Coming in at around Â£525, the Garlando Pro Champion is a great place to start. Approved for officialÂ training and minor competitions, this table is ready to show you how the professionals like to do things. Say hello to Bonzini’s really rather classy B50 limited edition table. 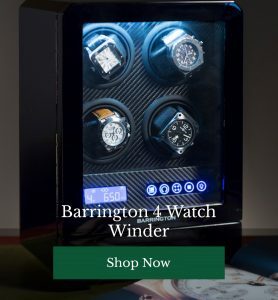 At around Â£3250 this isn’t the cheapest piece of kit for your man cave, but it is a high quality beauty. Well know for precision and enduring quality, Bonzini are up there amongst the football table crafting great and this walnut finished and gold inlay masterpiece is no exception. This is a luxury table with impeccable design at its heart. 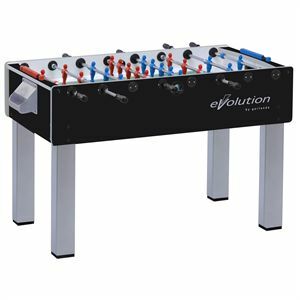 With smooth modern curves, LED basic lighting, an ATAO sound system and total customisability, this is the ferrari of football tables. The supreme quality is reflected in the price. You won’t find one of these masterpieces available for less than Â£15,000. If you’re feeling particularly extravagant, meet the limited edition Cristallino gold football table, 142kg of crystal glass, aluminium and 24 carat gold. 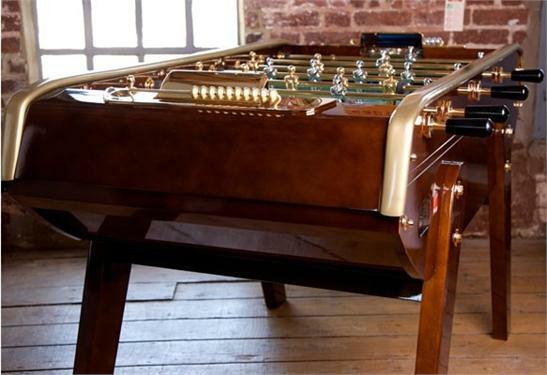 With just 50 in existence, this is a football table for the most exclusive man cave with a prices starting at Â£11,200. 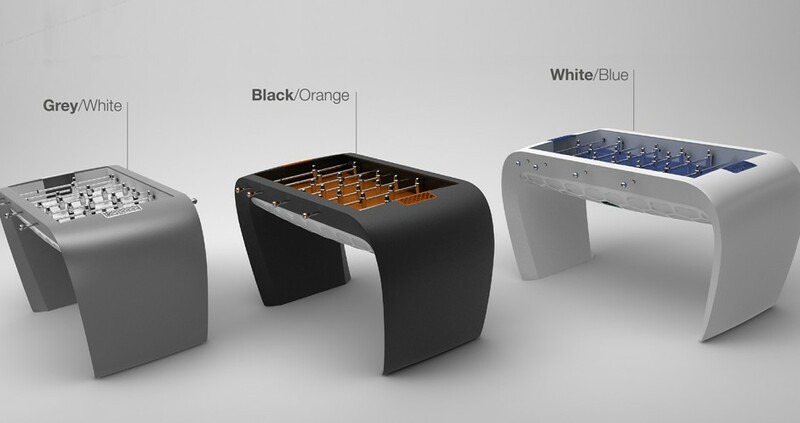 Tempted by a football table for your man cave? Do you prefer a traditional look or a modern style? 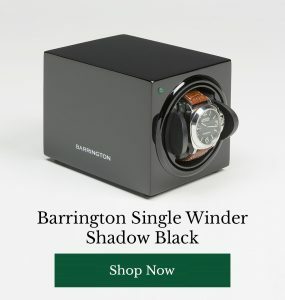 Do you have a favourite brand? Share your thoughts with our readers below.